PLEASE, WE NEED YOUR HELP!! Doctor’s are amazed at this young man’s determination. His family were advised that he would not see Xmas 2018, but Josh has decided that his final journey in his cancer fight will be his way. We are now into April 2019, Josh’s determination is diminishing. 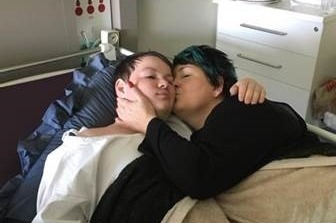 His family’s vigil at his bedside is continuing, emotionally they are spent, to see your child slowly fade away before your very eyes and not being able to to do anything about it is heartbreaking. IS BEING SOLD BY THE LANDLORD!! I know this families plight has touched the heart of many, but their challenges are just becoming too much!! Please if you can dig deep, but even $5 and sharing this gofundme so that others may assist is the much welcomed support that this family needs. 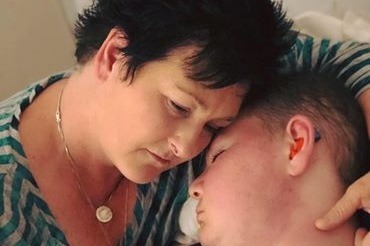 The money that is donated on this Gofundme page automatically goes into a bank account that Josh's mother Donna has access to for daily living costs while the family is supporting Josh on his final journey and of course when the time comes the heart breaking reality of sending this young man on his next Journey. If you are uncomfortable donating through this gofundme, there is also an account set up to receive donations. 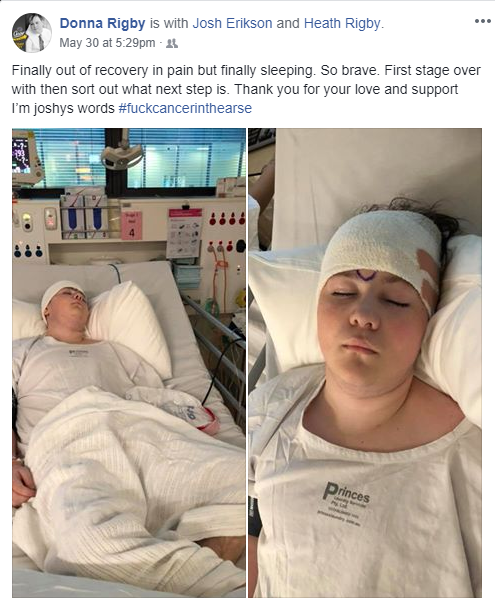 Josh and his family are certainly inspirational. Josh’s smile Would light up a room and his courage and determination has impacted everyone he has contact with. His mother Donna is a beautiful woman with hidden strength, making every day special for Josh and his family. Josh is my son, my world but he is my HERO and everyone that meets him is instantly in love with him and his courage. Josh was born at 27weeks weighing 1172grams, sadly his identical twin passed away when they were just one week old. This courageous little boy has battled to stay alive for 17 years and has battled more in that time than most adults do in their lifetime. At age 5 he was diagnosed with Acute Lymphoblastic Leukaemia and underwent three years of chemotherapy and radiation. But at the 3 year treatment mark he relapsed and prognosis was very poor unless a bone marrow donor was found. Daniel his older brother was that match and December 2009 three days before Christmas he received this gift of life. His poor little body was in so much pain but he battled on and fought as hard as he could. Coming home after 9 long stressful weeks at the Royal Children’s Hospital in Melbourne. Josh is hearing impaired and attends a deaf school in St Kilda Road in Melbourne. He struggles day to day with his impairment and missing so much school has effected his friendships greatly and this has caused him to suffer depression. In October 2016 josh complained to me about feeling numb in hands and this concerned me so into the hospital we went. After an MRI scan we were informed Josh had stage 4 Glioblastoma Multiforma brain cancer. Our world was rocked, we were hysterical and the thought of losing him was heartbreaking. Three days later went in for surgery which took 9.5 hours as the tumour was size of a small lemon. When he woke from surgery screaming in terrible pain it was then we found out he was paralysed down his left side. To this day he still has no movement in his left arm and can only walk very small steps with his stick. He is in a wheelchair most of the time. For a teenager having to have your Mum shower, dress and help you with toilet is devastating for a kid his age. Life for him since has been very isolating and everyday tasks are very hard for him especially with his love of gaming. Very difficult to play most PS4 games when you have only one working hand. 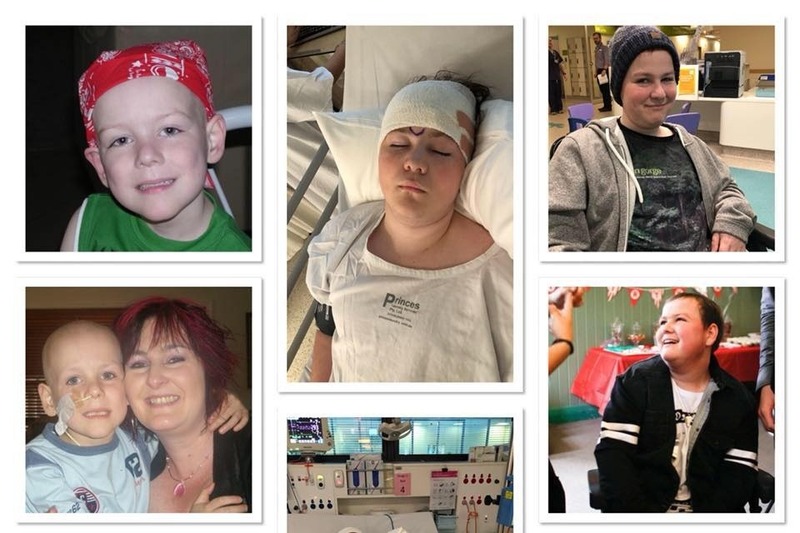 Josh had 6 weeks of intensive radiation and then chemotherapy which once again put such a strain on his body and his organs which are already damaged from a very young age. On a routine MRI it was found that Josh now has two new GBM brain tumours which are growing. As you can imagine I as his mother am just devastated and heartbroken. He is going in for surgery on Monday 28th May 2018. There are two tumours and also some suspicious areas which they won’t know about until they get in there. We are terrified and terrified of what else he will need to face once surgery is over. He was going to enrol in an Immunotherapy Trial but given he’s had a bone marrow transplant this is not an option. So at this stage there’s little treatment been offered. But I will not give up and I am researching new treatments that are available overseas, if this is an option. But I’m saying that the costs involved would be tremendous and would need every bit of support that could be obtained. The road once again is going to be enormous and therefore given husband taking time away from work to help support us the financial situation is going to be huge. *meals prepared so we can just concentrate on our boy. Josh is in a wheelchair and the current sedan is not suitable for electrical wheelchair which is needed for some independent therefore we are hoping to obtain a suitable vehicle to make his life a little easier. As a family we want to make beautiful memories, be able to have s family photo shoot and get josh and my hand sculptured clasping our hands forever together. Life is about making memories and when your facing what we are as a family every day is special and for us to be able to make him smile, laugh, take him places, see and do whatever he dreams of. I will go to the ends of the earth for him. Josh has a bucket list and one of those is to visit Disneyland in USA, this is a dream I would love to see happen for him. He has lots on his bucket list from holidays, to small things like volunteer with animals in a shelter. One by one we hope that with support we can tick each and every wish off his list. My son, my hero, my Mr Braveheart.... is my World and is just the most incredible human being I’ve ever known and I feel extremely grateful that I am his mum. He doesn’t nor has deserved the last 17 years of battling to stay alive. His strength and courage is incredible. He’s most certainly a one of a kind young man. I thank you from bottom of my heart for reading and hope that my precious darling son can receive some very urgent help please and help us all out in such a traumatic time. What a brave young man, long hours in surgery. Lets make this kids wish list come true, if you can spare a little please donate. This amazing young man is now all prepped for surgery today. Please have Josh and his family in your thoughts. FINALLY this family has received some good news!!!! Donna (Josh's mum) has been working tirelessly over the last 24 hours to change the situation Josh and his family find themselves in - and today Health Minister Jill Hennessy has picked up Josh's cause, made the (RCH) Royal Childrens Hospital VERY AWARE of the circumstances and miraculously Josh will now be having this much needed urgent surgery on Monday 28/05 at the RCH Melbourne. Thank you everyone that has donated, Josh and his family really appreciate the support that's been given in the form of donations and messages. Please join Josh's story-Mr Braveheart-Team Josh on Face Book to continue to get updates and feel free to give Josh messages of support.